Cleveland Clinic is a not-for-profit academic medical center treating over 5 million patients every year in hospitals and outpatient facilities in Ohio, Florida, Nevada, Canada and Abu Dhabi. With over 3,000 physicians and scientists engaging in patient care and cutting edge research, Cleveland Clinic has consistently appeared on U.S. News and World Report’s list of America’s Best Hospitals, holding the #1 rank among heart health and heart surgery programs since 1995. 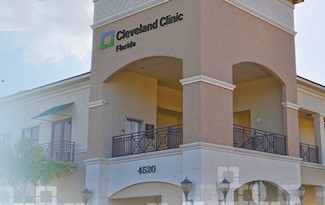 Market research and a feasibility study was conducted on an innovative joint venture concept between Cleveland Clinic and Florida Panthers Holdings for an 80,000 sq. ft. Medical Spa & Fitness and Physical Rehabilitation center with components including spa, salon & wellness services, fitness facilities and programming, sports medicine, cardiac rehabilitation, alternative medicine and traditional rehabilitative therapies, and a “heart healthy” themed restaurant. The target market for this study included local Florida residents, Cleveland Clinic patients and employees, and Florida professional sports team members.